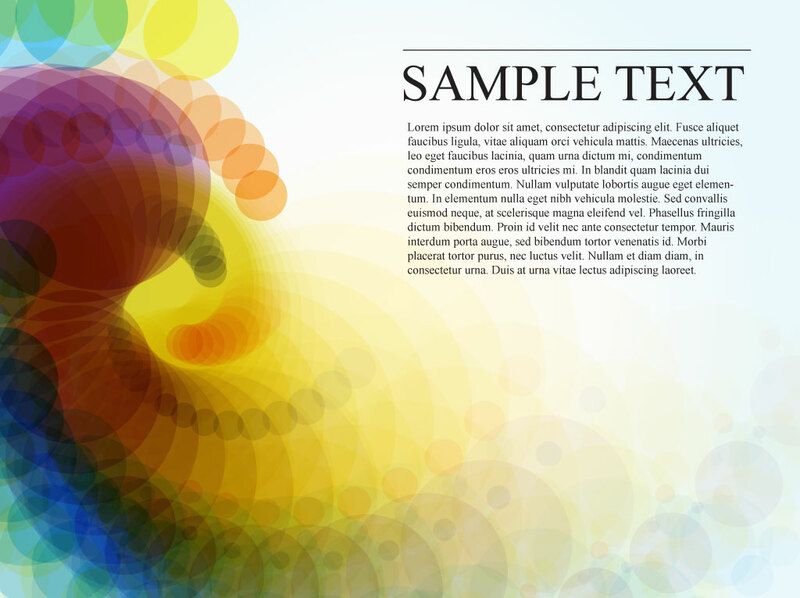 Decorative vector background design with colorful circles spiraling randomly and leaving trails. Sample text is laid out opposite the circle graphics on the right side of the image. This free download could work well as the backdrop for an abstract poem or artistic article. Tags: Business Cards, Dynamic, Motion, Rainbow, Sphere, Spinning, Spiral, Swirl.